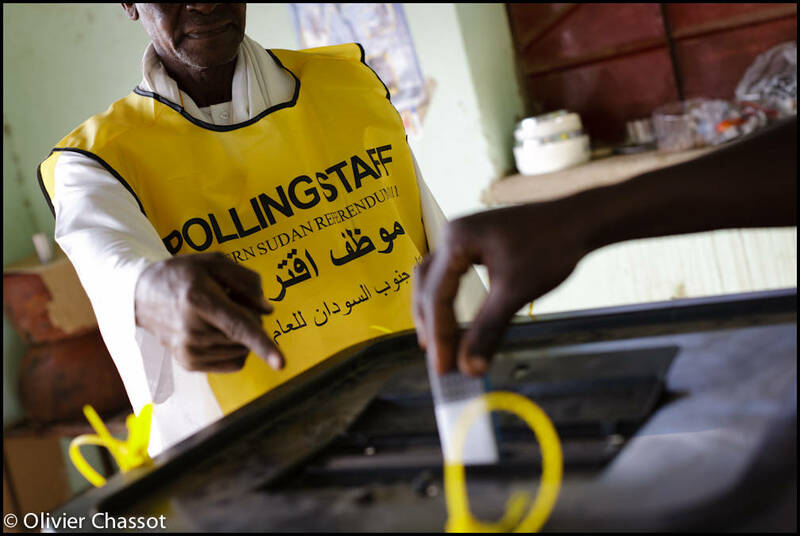 10 January 2011: A South Sudanese vote, assisted by a local staff, at the 2nd day of the referendum over South Sudan’s independence, at El Fasher polling center, North Darfur. [Click on the picture to enlarge it]. 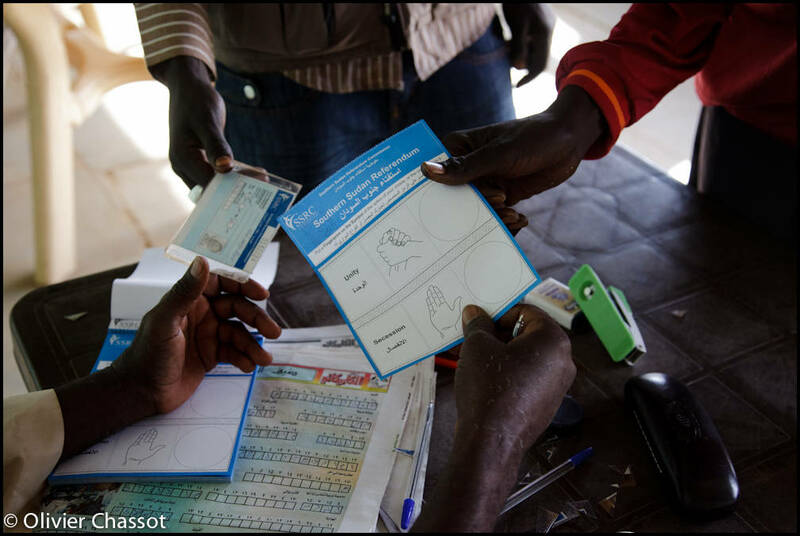 10 January 2011: A polling staff member control registration cards during the 2nd day of the referendum on South Sudan’s independence, at El-Fasher polling center, North Darfur. [Click on the picture to enlarge it]. 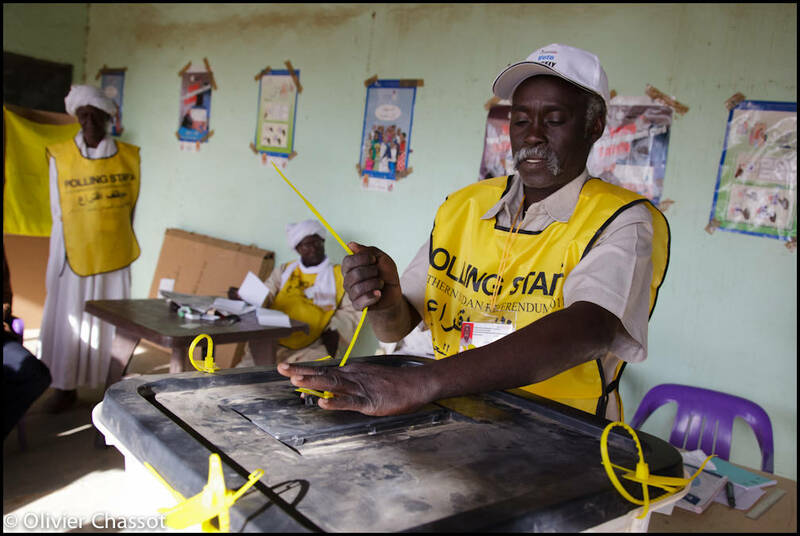 10 January 2011: A staff member of the El Fasher polling center close a ballot at the end of the 2nd day of the referendum on South Sudan’s independence. [Click on the picture to enlarge it].